Colliers | Virginia is the leading commercial real estate services provider in the Commonwealth. We provide unparalleled service to meet your needs from financing, investment sales and real estate portfolio management, to leasing commercial office, industrial and retail space. Our industry-leading platform provides unparalleled service to meet any client requirement from acquisition financing, investment sales, real estate portfolio management, to leasing commercial office, industrial and retail space. Our professionals serve the diverse needs of property owners, investors, corporate clients, institutions and tenants. We are committed to helping our clients foresee the landscape ahead and seize real estate opportunities that directly match their needs. We can assess a client's entire real estate portfolio requirement on a company-wide scale helping to achieve the client's objectives of expansion, consolidation, acquisition, disposition or asset enhancement. With 340 professionals across five offices, the Colliers International team in Virginia provides a complete range of services to owners, investors, and occupiers to solve complex problems with integrated commercial property services. With extensive experience in the commercial real estate industry, Rob Stockhausen is among the most knowledgeable agents in the Charlottesville marketplace. His market expertise and approachable personality continually attracts top clients, expanding his networking base. Rob specializes in the sale and leasing of industrial and office buildings as well as commercial land sales within the Charlottesville area, although he is also active in Fluvanna, Louisa, Orange, Nelson, Madison, Greene and Augusta counties. Within the past two years, he has completed 14 sales transactions totaling over $35 million, and five lease transactions encompassing over 26,618 square feet and totaling over $1.3 million. As managing director of the Charlottesville office, he has developed a team of bright professionals and leads them to success each year. Under his leadership, the firm dominates the local commercial real estate market. Prior to becoming managing director and principal broker of the Charlottesville office in July of 2006, he worked for Real Estate III Commercial Properties, Inc. At that time, he spearheaded the development of Zion Crossroads Industrial Park. 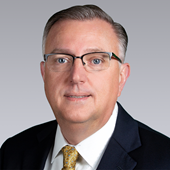 Rob’s career began in 1991 at Bullock, Terrell and Manelley(BTM) in Atlanta, Georgia, where he handled commercial leasing from both a tenant and landlord perspective. He has worked within commercial brokerage and/or private investments ever since. 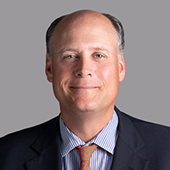 Todd Willett is the Regional Managing Director of REMS|Virginia and oversees and coordinates a team of real estate managers and support staff responsible for over 30 million square feet of office, flex, industrial, and retail assignments. Todd has 25 years of experience and joined the firm in 1998. Previously he was with a real estate development company for nine years where he was responsible for development, property management, accounting and administration for office buildings, medical centers and industrial properties. In addition, Todd spent three years managing residential properties in Northern Virginia and Hampton Roads. In Northern Virginia, he was responsible for 3,000 residential properties which consisted of single family homes, apartments and condominiums. In the Hampton Roads area, Todd was responsible for 500 resort homes and condominiums. Todd is a Certified Property Manager and holds a bachelor’s degree in Business Administration from Virginia Wesleyan College. He recently served as the Regional Vice President of the Institute of Real Estate Management.